^ 1.0 1.1 1.2 1.3 Cassini–Huygens: Quick Facts. NASA. [August 20, 2011]. ^ Krebs, Gunter Dirk. Cassini / Huygens. Gunter's Space Page. [June 15, 2016]. ^ Barber, Todd J. Insider's Cassini: Power, Propulsion, and Andrew Ging. NASA. August 23, 2010 [August 20, 2011]. （原始内容存档于April 2, 2012）. ^ Brown, Dwayne; Cantillo, Laurie; Dyches, Preston. NASA's Cassini Spacecraft Ends Its Historic Exploration of Saturn. NASA. September 15, 2017 [September 15, 2017]. ^ Chang, Kenneth. Cassini Vanishes Into Saturn, Its Mission Celebrated and Mourned. The New York Times. September 14, 2017 [September 15, 2017]. ^ Cassini Post-End of Mission News Conference (訪談). Pasadena, CA: NASA Television. September 15, 2017. ^ 7.0 7.1 7.2 Outer Planets Flagship - Science Mission Directorate. ^ Corum, Jonathan. Mapping Saturn's Moons. The New York Times. 2015-12-18 [2015-12-18]. 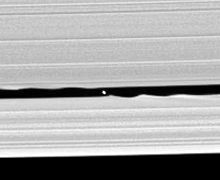 ^ Cassini Makes First Ring-Grazing Plunge. NASA/JPL. 2016-12-05 [2016-12-05]. ^ Insider, Dave Mosher, Business. Here's How and When NASA Will Finally Destroy Cassini. ^ CASSINI-HUYGENS. ASI - Agenzia Spaziale Italiana. ^ THE VISUAL AND INFRARED MAPPING SPECTROMETER FOR CASSINI (PDF). IAPS, ex IFSI Roma. [2013-03-29]. （原始内容 (PDF)存档于2013-05-12）. ^ M. Reininger, Francis; Dami, Michele; Paolinetti, Riccardo; Pieri, Silvano; Falugiani, Silvio. Visible Infrared Mapping Spectrometer--visible channel (VIMS-V). Instrumentation in Astronomy VIII, 239. SPIE--The International Society for Optical Engineering. 1994-06-01. ^ 15.0 15.1 Cassini Receives Extension. Astronomy Magazine. 2008-04-16 [2012-05-23]. ^ Cassini-Huygens mission objectives. 2012-03-27. ^ Mission Summary. sci.esa.int. [2017-02-03] （英国英语）. ^ Cassini Solstice Mission-FAQs. Jet Propulsion Laboratory. [2014-01-24]. ^ NASA Extends Cassini Probe's Mission at Saturn. Space.com. 2008-04-15 [2010-09-01]. ^ Moskowitz, Clara. Cassini Saturn Probe Gets 7-Year Life Extension. Space.com. 2010-02-03 [2011-08-20]. ^ William J. Broad. 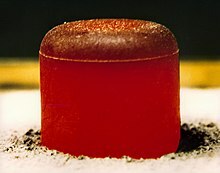 Saturn Mission's Use of Plutonium Fuel Provokes Warnings of Danger. The New York Times. 1997-09-08 [2010-09-01]. ^ Dozens arrested in protest of plutonium-fueled space mission. CNN. 1997-10-04 [2010-09-01]. ^ Christopher Boyd. 27 Arrested at Protest of Cassini. Orlando Sentinel. 1997-10-05 [2010-09-01]. ^ Cassini Spacecraft Nears Liftoff, but Critics Object to its Risks. The New York Times. 1997-10-12 [2010-09-01]. ^ Daniel Sorid. Activists Stand their Ground, Even As Cassini Sails Safely Away. Space.com. 1999-08-18 [2010-09-01]. ^ 26.0 26.1 esa. Cassini spacecraft. ^ Overbye, Dennis. Storm Chasing on Saturn. The New York Times. 2014-08-06 [2014-08-06]. ^ 31.0 31.1 Cassini: Mission to Saturn: Cassini Orbiter. ^ 32.00 32.01 32.02 32.03 32.04 32.05 32.06 32.07 32.08 32.09 32.10 32.11 Cassini Orbiter Instruments. Saturn.jpl.nasa.gov. [2011-08-20]. ^ CAPS team page. Caps.space.swri.edu. [2011-08-20]. ^ Cassini Significant Events newsletter 2012 03 26. JPL. [2017-05-14]. （原始内容存档于2015-09-12）. ^ Waite J. H.; Lewis S.; Kasprzak W. T.; Anicich V. G.; Block B. P.; Cravens T. E.; Fletcher G. G.; Ip W. H.; Luhmann J. G.; McNutt R. L.; Niemann H. B.; Parejko J. K.; Richards J. E.; Thorpe R. L.; Walter E. M.; Yelle R. V. The Cassini ion and neutral mass spectrometer (INMS) investigation. Space Science Reviews. 2004, 114 (1–4): 113–231. Bibcode:2004SSRv..114..113W. doi:10.1007/s11214-004-1408-2. ^ INMS team page. Inms.space.swri.edu. [2011-08-20]. ^ Porco C. C.; West R. A.; Squyres S.; McEwen A.; Thomas P.; Murray C. D.; Delgenio A.; Ingersoll A. P.; Johnson T. V.; Neukum G.; Veverka J.; Dones L.; Brahic A.; Burns J. 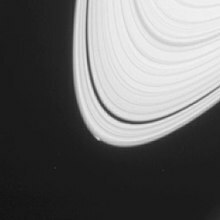 A.; Haemmerle V.; Knowles B.; Dawson D.; Roatsch T.; Beurle K.; Owen W. Cassini Imaging Science: Instrument characteristics and anticipated scientific investigations at Saturn. Space Science Reviews. 2004, 115 (1–4): 363–497. Bibcode:2004SSRv..115..363P. doi:10.1007/s11214-004-1456-7. ^ Dougherty M. K.; Kellock S.; Southwood D. J.; Balogh A.; Smith E. J.; Tsurutani B. T.; Gerlach B.; Glassmeier K. H.; Gleim F.; Russell C. T.; Erdos G.; Neubauer E. M.; Cowley S. W. H. The Cassini magnetic field investigation. Space Science Reviews. 2004, 114 (1–4): 331–383. Bibcode:2004SSRv..114..331D. doi:10.1007/s11214-004-1432-2. ^ Krimigis S. M.; Mitchell D. G.; Hamilton D. C.; Livi S.; Dandouras J.; Jaskulek S.; Armstrong T. P.; Boldt J. D.; Cheng A. F.; Gloeckler G.; Hayes J. R.; Hsieh K. C.; Ip W. H.; Keath E. P.; Kirsch E.; Krupp N.; Lanzerotti L. J.; Lundgren R.; Mauk B. H.; McEntire R. W.; Roelof E. C.; Schlemm C. E.; Tossman B. E.; Wilken B.; Williams D. J. Magnetosphere imaging instrument (MIMI) on the Cassini mission to Saturn/Titan. Space Science Reviews. 2004, 114 (1–4): 233–329. Bibcode:2004SSRv..114..233K. doi:10.1007/s11214-004-1410-8. ^ Mimi Inca. Sd-www.jhuapl.edu. [2011-08-20]. ^ 41.0 41.1 41.2 41.3 41.4 Why the Cassini Mission Cannot Use Solar Arrays (PDF). NASA/JPL. 1996-12-06 [2014-03-21]. （原始内容 (PDF)存档于2015-02-26）. ^ Cassini–Huygens:Quick Facts. Saturn.jpl.nasa.gov. [2014-07-01]. ^ Kan, Edwin P. Process and Methodology of Developing Cassini G&C Telemetry Dictionary (PDF). Third International Symposium on Space Mission Operations and Ground Data Systems. Greenbelt. November 1994. （原始内容 (PDF)存档于2013-05-10）. ^ New Cassini Images of Asteroid Available (新闻稿). JPL. 2000-02-11 [2010-10-15]. （原始内容存档于2010-06-12）. ^ Hansen C. J., Bolton S. J., Matson D. L., Spilker L. J., Lebreton J. P. The Cassini–Huygens flyby of Jupiter. Icarus. 2004, 172 (1): 1–8. Bibcode:2004Icar..172....1H. doi:10.1016/j.icarus.2004.06.018. ^ Bertotti B., Iess L., Tortora P. A test of general relativity using radio links with the Cassini spacecraft. Nature. 2003, 425 (6956): 374–376. Bibcode:2003Natur.425..374B. PMID 14508481. doi:10.1038/nature01997. ^ Cassini-Huygens. California Institute of Technology-JPL. [2013-01-21]. ^ Spray Above Enceladus. [2009-08-10]. ^ NASA's Cassini Images Reveal Spectacular Evidence of an Active Moon. 2005-12-06 [2009-08-10]. （原始内容存档于2008-04-29）. ^ Cassini Spacecraft Captures Images and Sounds of Big Saturn Storm. Saturn.jpl.nasa.gov. 2011-07-06 [2011-08-20]. （原始内容存档于2008-04-30）. ^ Cassini-Huygens: News. Saturn.jpl.nasa.gov. [2011-08-20]. （原始内容存档于2008-05-08）. ^ Cassini Tastes Organic Material at Saturn's Geyser Moon. 2008-03-26 [2009-08-10]. （原始内容存档于2008-09-22）. ^ A Perspective on Life on Enceladus: A World of Possibilities. 2008-03-26 [2009-08-10]. （原始内容存档于2008-09-20）. ^ Cassini Sends Back Images of Enceladus as Winter Nears. [2015-01-01]. （原始内容存档于2016-03-11）. ^ Cassini’s Tour of the Saturn System. Planetary Society. [2009-02-26]. （原始内容存档于2009-04-25）. 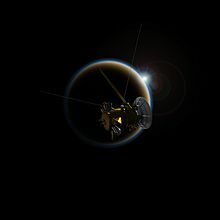 ^ Cassini To Earth: 'Mission Accomplished, But New Questions Await!'. Science Daily. 2008-06-29 [2009-01-05]. ^ Cassini Solstice Mission: NASA Extends Cassini's Tour of Saturn, Continuing International Cooperation for World Class Science. NASA. 2010-02-03 [2011-07-08]. （原始内容存档于2016-04-13）. ^ 69.0 69.1 Overbye, Dennis. The View From Saturn. New York Times. 2013-11-12 [2013-11-12]. ^ Cassini probe takes image of Earth from Saturn orbit. BBC News. 2013-07-23 [2013-07-24]. ^ Smile! Cassini sets up photo of Earth. BBC News. 2013-07-19 [2013-07-24]. ^ Amos, Jonathan. Saturn's Enceladus moon hides 'great lake' of water. BBC News. 2014-04-03 [2014-04-07]. ^ Sample, Ian. Ocean discovered on Enceladus may be best place to look for alien life. The Guardian. [2014-04-03]. ^ Iess, L.; Stevenson, D.J. ; Parisi, M.; Hemingway, D.; Jacobson, R.A.; Lunine, J.I. ; Nimmo, F.; Armstrong, J.w. ; Asmar, S.w. ; Ducci, M.; Tortora, P. The Gravity Field and Interior Structure of Enceladus. Science (journal). 2014-04-04, 344 (6179): 78–80 [2014-04-03]. doi:10.1126/science.1250551. ^ Spitale, J. N.; Jacobson, R. A.; Porco, C. C.; Owen, W. M., Jr. The orbits of Saturn's small satellites derived from combined historic and Cassini imaging observations (PDF). The Astronomical Journal. 2006, 132 (2): 692–710. Bibcode:2006AJ....132..692S. doi:10.1086/505206. ^ Surprise! Saturn has small moon hidden in ring. NBC News. 2009-03-03 [2015-08-29]. （原始内容存档于2013-12-17）. ^ Daniel W. E. Green. IAU Circular No. 9091. Ciclops.org. 2009-11-02 [2011-08-20]. ^ Platt, Jane; Brown, Dwayne. 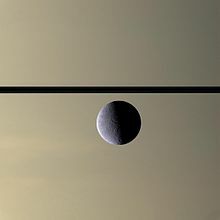 NASA Cassini Images May Reveal Birth of a Saturn Moon. NASA. 2014-04-14 [2014-04-14].